Yesterday (November 14), we got our answer. And it’s a big fat yes. Maffei then cited a move from Comcast boss Brian Roberts, when the executive nailed down a “very smart acquisition” of TV and movie giant NBC in 2009. “Not only was it well-timed and well-executed, it was a great hedge on the cost of his content on the distribution side,” said Maffei. Warm-up over, Maffei directly answered the UMG question – and whetted the appetite of Liberty’s investors. “Start with the premise that if there’s anything that comes up in music, we likely look [at it],” he said. “We’re as big a force, we have as much cash flow, as anybody in the music business. We will look at everything. Will we look at UMG if presented [with the opportunity]? Absolutely. His words will have been heard loud and clear in Santa Monica, all the way to Paris and, no doubt, Greater China. 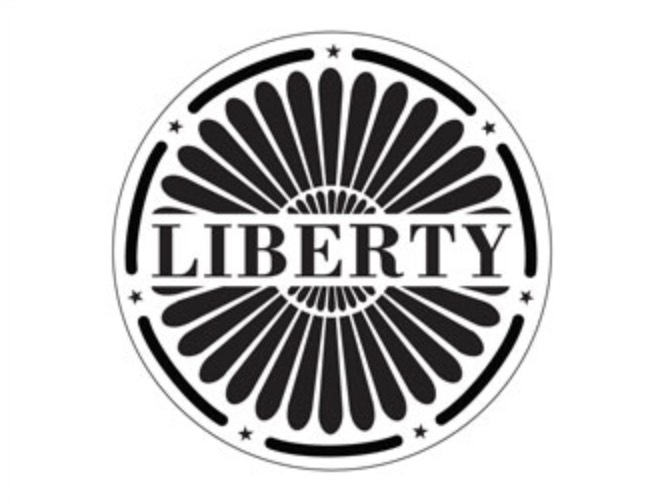 Liberty Media has some interesting history when it comes to Universal Music Group. In Q1 2015, Maffei, plus Liberty Media Chairman John Malone, reportedly visited then-Vivendi ruler Vincent Bolloré, and made an acquisition bid for UMG. It later transpired that they’d offered in the region of €13.5bn ($15bn). These days, that might not even fetch half of UMG – with recent valuations of the company from the investment bankers ranging from sub-$20bn all the way up to $40bn. Speaking on stage yesterday, John Malone followed Greg Maffei’s line of thinking on the UMG question. Said Malone: “One of the benefits of being in distribution as well as content was always not so much that you could extract more, but that you could defend. Earlier on at yesterday’s Investor Day, Maffei discussed why Liberty sanctioned SiriusXM’s $3.5bn buyout of Pandora – considering that, in the past, Sirius’s management team blew hot and cold on the prospect of acquiring the streaming music service. “We’ve always been attracted to the strength of Pandora – its brand, its large audience, what it has done in mobile,” said Maffei. “But we had questions about its business model back when they were trying to be somewhat of a me-too player in [music streaming] subscription; they lost some of their momentum, some of the strength they had in the ad market. 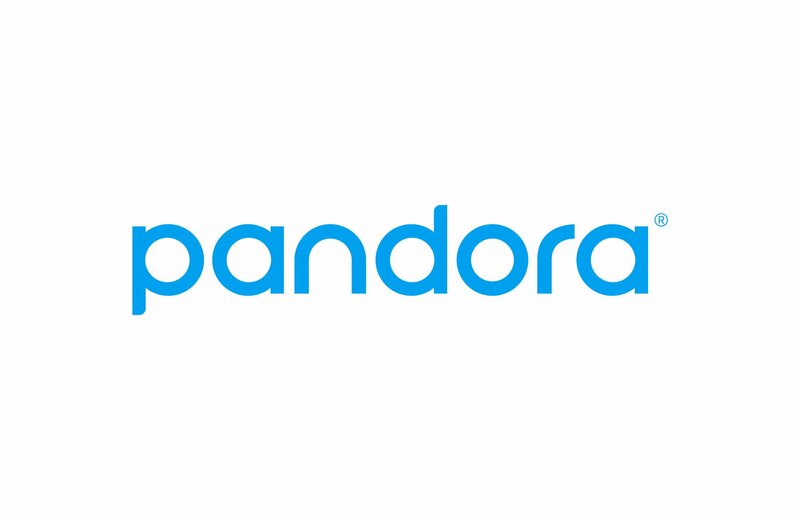 Maffei then suggested that the new Pandora management team, led by CEO Roger Lynch – who replaced Tim Westergren in the firm’s hotseat in August last year – had kick-started a renewed focus on advertising as a revenue source at Pandora, not least by acquiring ad-serving platform AdsWizz for $145m six months ago. To put Pandora’s ads dominance into context: in the first nine months of 2018, the US-only platform generated $777.5m in advertising revenues. That was up very slightly on the same period in 2017 – and comfortably ahead of Spotify’s equivalent nine-month 2018 ad revenues of €374m (approximately $425m). Maffei told Liberty investors that Sirius was particularly pleased to have locked down a nine-year US royalty rate freeze as part of the introduction of the Music Modernization Act last month. 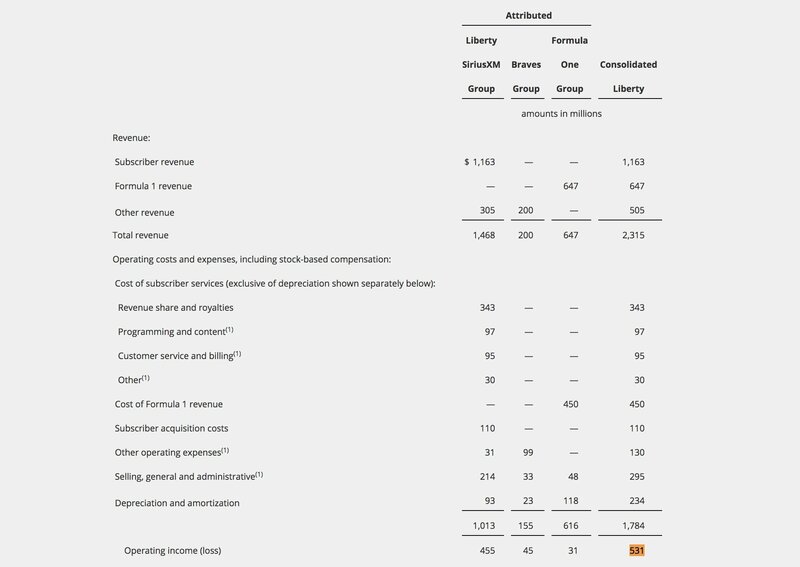 In its latest quarter, to end of September 2018, across all of its divisions, Liberty Media turned over $2.3bn, with a quarterly operating profit of $531m.